→ Share your Art - show your talent! 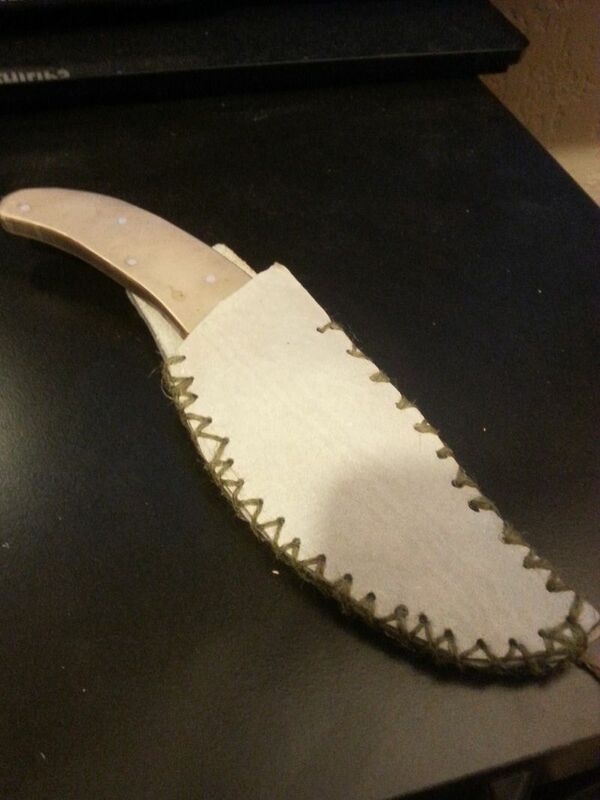 For a hand made machete made from an old sawmill planer blade. Made it out of leather and hemp...the front side is white leather so I oiled it with some boot polish and oil paint. Still have a little more work to do to it still. 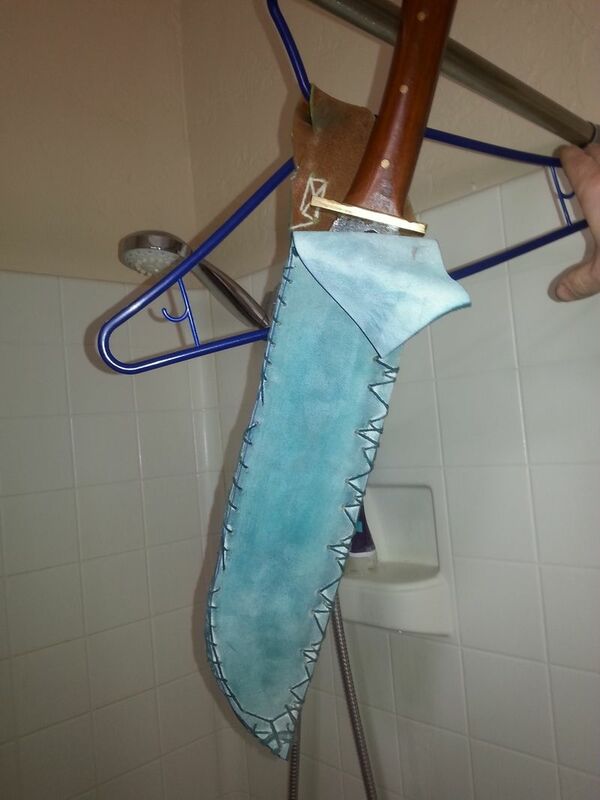 Reason it's hanging up is because I soaked it in water and as it dries it will have a better form around the blade. Edited by Caps, 10 February 2016 - 08:18 AM. Not bad at all !!! In fact looks rather very purposeful and should be a great carry along , Keep them coming caps . Strong of Heart wins the Day , let not yourself be dismayed ! I really like how colors of the small knife and its sheath are so complementary. Well done! Love it, and the blades as well. I have a bit of an obsession with knives and swords. It would be fun to make original works like this! 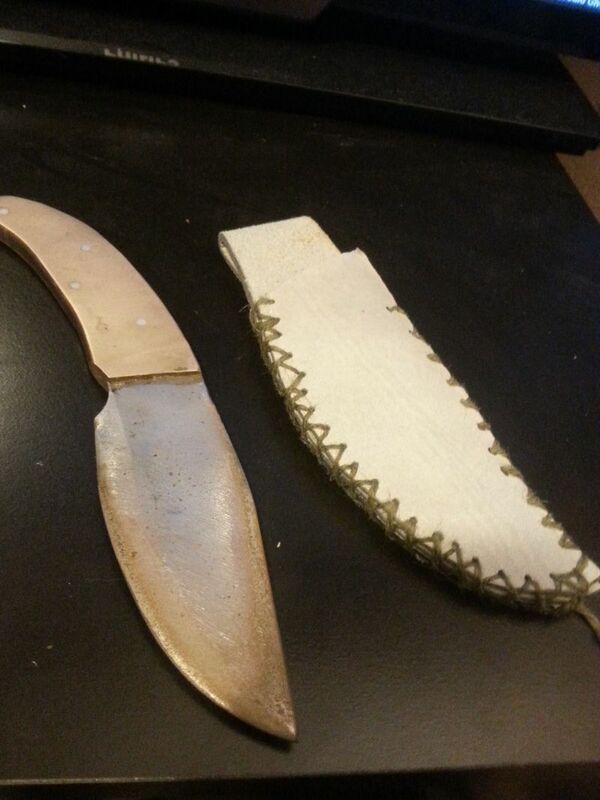 Your blades and sheaths look fantastic! I love knives too, no idea why, but I always have. This poor thing is my hands down favorite. I bought it at a second hand store a year ago (where it was screaming, "take me, I'm yours" and since then it is my go to. 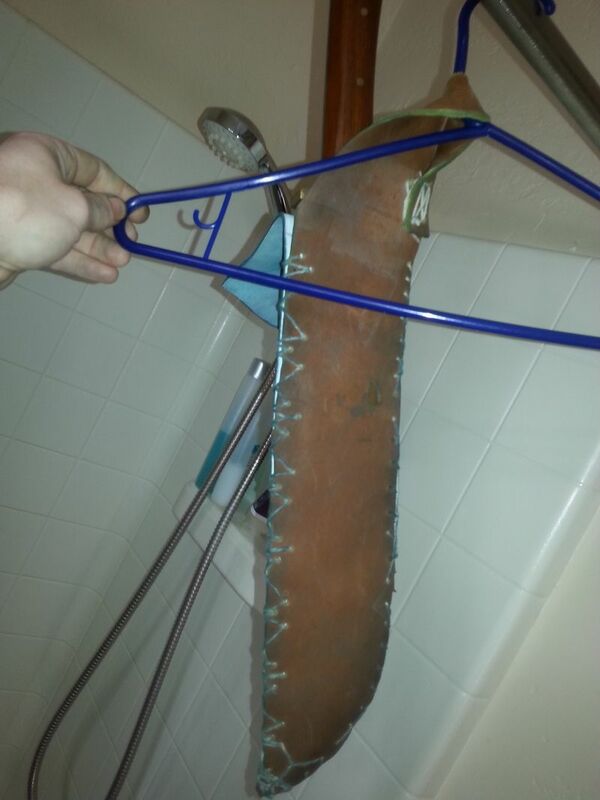 Unfortunately the sheath has seen better days. The strap for the handle is broken. I think the leather is partially dry rotted but still in usable shape- except that strap. 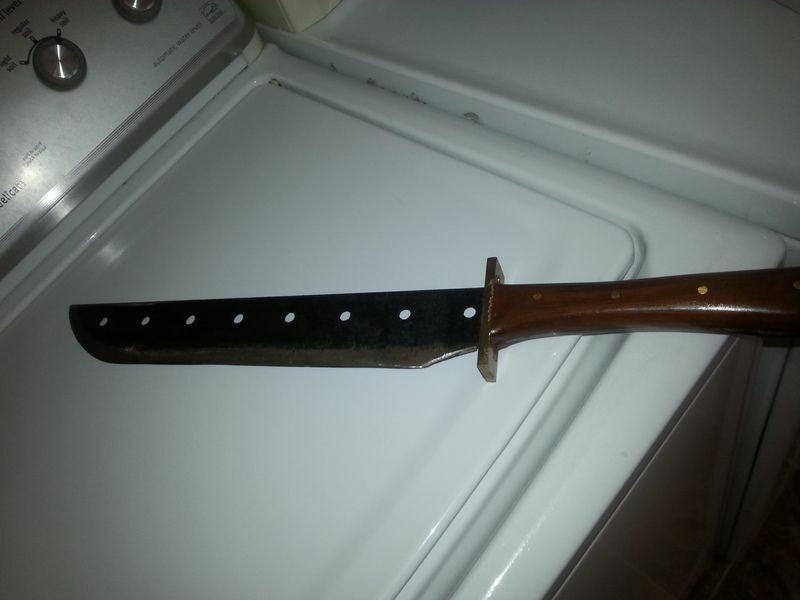 So I have no idea where I would find a sheath to fit this. 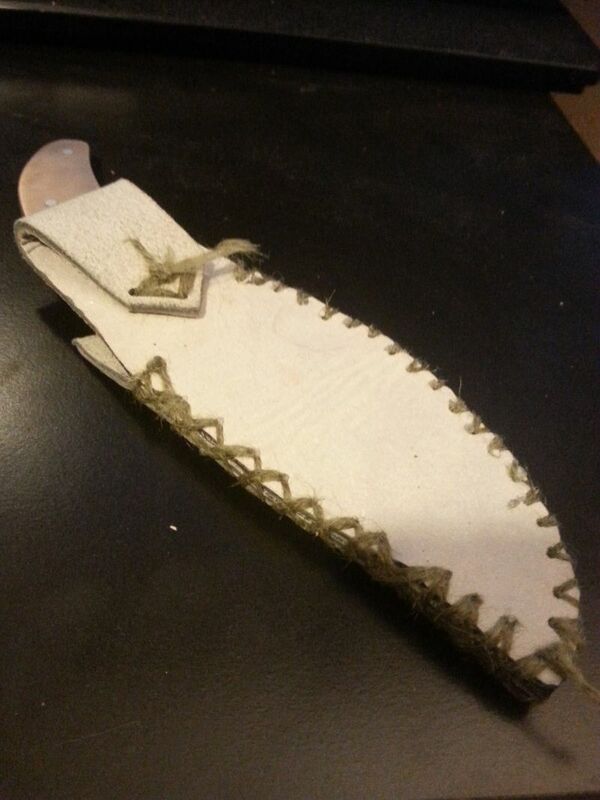 I have some sewing experience and work with other crafts, but no real experience with leather. Suggestions, thoughts, or ideas? Homemade products are always so impressive! Great job! Caps!!! Love the sheaths!!! Looks amazing! Would love to see more! I have a whole set of weapons lol. Since i was able to buy knives for myself i can't seem to stop collegting and practicing with them lol! My mother never baught me knives even when i asked her hahaha but now she can't complain since i got them myself! Bwahahahahaha! I'll probably be making some more of these soon since the weather is already...Northern. When I get them made I'll post some more pics. I've thought about combining the leatherwork with some crocheted or knitted sections for more detail. In other news, the stitching on the machete sheath didn't last long so I'm coming up with new stitch pattern techniques that might be stronger. Back to Share your Art - show your talent!